Now in its 23rd year, the Unity Walk is the largest grassroots Parkinson’s fundraiser in the US. The event, held in New York’s Central Park, took place on 22 April and has already raised more than $1.25m for Parkinson’s research projects. 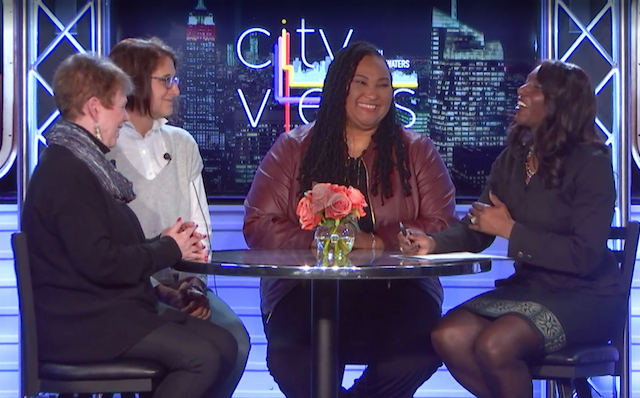 This year, Carol Walton, CEO of Unity Walk, and Muhammad Ali’s daughter May May Ali appeared on US television to promote the event. 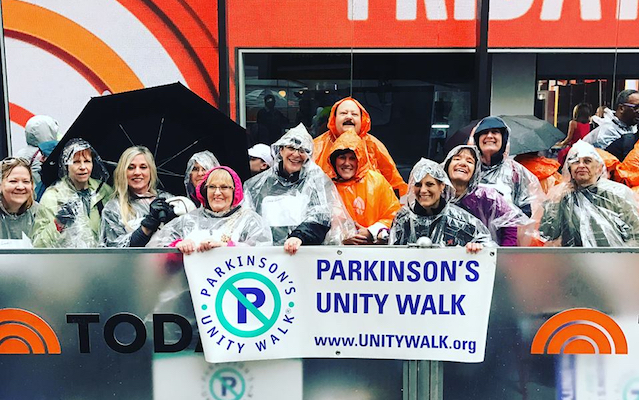 The team and supporters were also invited onto the Today Show where even the wet weather couldn’t dampen the enthusiasm shown by Parkinson’s advocates. On the day, people with Parkinson’s and their families walked the 1.4-mile course – which is suitable for those with walking disabilities – and have the opportunity to speak to Parkinson’s experts; up to 50 information stands are set up each year with movement disorder specialists, neurologists, physiotherapists, all on hand to answers questions, free of charge. James Beck, Chief Scientific Officer at the Parkinson’s Disease Foundation, showed his support for the fundraising event. Walkers of all ages took part, as seen in the group for Fresco Institute for Parkinson’s and Movement Disorders at NYU Langone Medical Center was represented by a large group of all ages. Families, equipped with home made signs, attended the walk to show their support for loved ones. The Parkinson’s Disease Foundation set up a special photo booth for the occasion. What walk would be complete without giant photo frames for walkers to take memorable snaps of the day. The organisation has now raised more than $20m to date and you can follow all the latest social media updates using the hashtag #PUW2017. Can virtual reality help you control your brain?